Is CBD the “wonder-elixir” for Generation Anxious? In a lowlit room at Joy’s Spa in Washington, Dawn Franklin is smoothing a creamy white mask onto Jessica Osorio’s face. 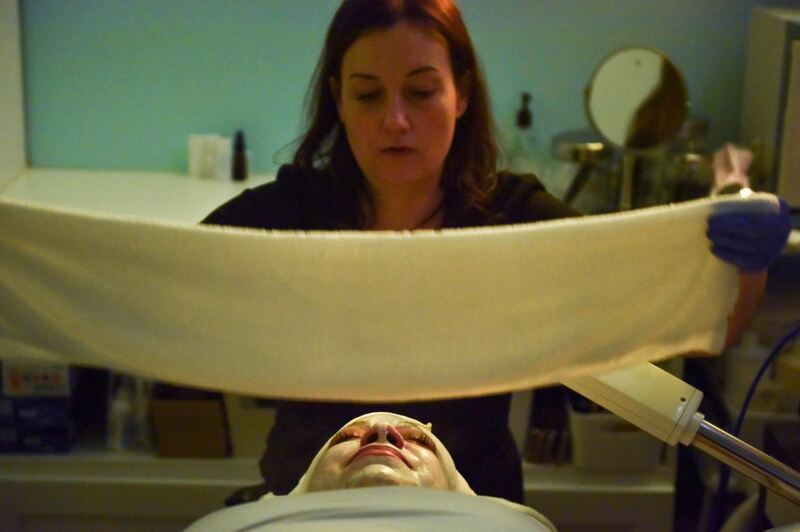 The mask, she says, is infused with chamomile and sage and aloe vera, plus one ingredient that she still has to explain to her clients: CBD. An aesthetician, Franklin started working with an Oregon chemist last year to make CBD products for the skin, believing that a little of it swiped onto the face could help repair the ravages of age. But Franklin also takes CBD in gummy form, popping some in the morning and some at night. Like a magic pill, she says, it wipes away the sleeplessness and the stress and the nagging pain in her back that has left her with a slight limp, though she’s only in her 30s. Devotees whisper about CBD as a soothing remedy for racing thoughts and aching extremities. CBD for those restless nights. Also, somehow, CBD for those listless mornings. Suddenly, you can find sugar-coated CBD gummies to gnaw on, and balms to rub onto pulse points. There’s CBD for your dog (gluten-free and pumpkin-flavored!) and CBD for your aching feet. You can buy bottled CBD water in trendy, seasonally-driven fast-casual restaurants, and bags of CBD-laced coffee in shops on busy thoroughfares in Washington, Colorado Springs, Las Vegas and dozens of other cities. Back at Joy’s, Osorio, the mask still plastered on her face, pipes up about her own experience with CBD, how it seemed to quiet the back spasms she has suffered since an accident years ago. Plus, is it just her imagination, or do her wrinkles seem to have faded? Also known by its full name, cannabidiol (pronounced canna-bid-EYE-ol), CBD is just one of hundreds of compounds hiding within the cannabis plant. It’s a distant cousin of THC, the stuff in pot that’s notorious for getting you stoned and for inciting the wrath of Attorney General Jeff Sessions. But while the term “cannabidiol” smacks of weed, “CBD” somehow sounds . . . tame. Like something you can name-drop around Mom, like turmeric and melatonin and charcoal and biotin or any of the other wonder-elixirs that have replaced Prozac in America’s medicine cabinets. The dizzying rise of CBD is a story of timing as much as of branding. As more states deregulate marijuana, the Reefer Madness stigma that surrounded it for decades seems to have gone up in smoke. But here’s why CBD appeals to some who would never smoke a joint after dinner: Take a few milligrams of CBD as, say, an oil slipped onto the tongue or a piece of candy, and it tastes unmistakably like cannabis, which is to say, slightly minty and herbacious, and just a little funky. But cannabidiol’s effect is startlingly anti-climactic. It’s weed without the high. And this may be why CBD is legal in many states, including several that don’t allow legal recreational or medical marijuana. An organic chemist named Roger Adams isolated cannabidiol amid a wave of research into the medicinal promise of marijuana in the 1930s and ’40s. He filed for a patent, and in the decades that followed, marijuana growers experimented with raising plants with high levels of CBD and almost no THC, hoping that a puff might trigger its own trippy bang. It didn’t take long for them to realize that they were wrong. So, so wrong. “CBD became known as the hippie’s disappointment,” says Stuart W. Titus, the chief executive of Medical Marijuana Inc., a producer of several CBD oils and products that entered the market in 2012. Now, the hippie’s disappointment is back, rebranded as the stressed-out modern office drudge’s salvation. Which, according to the charter members of the Cult of Cannabidiol, are many. Infinite, in fact. Naturally, not everyone is buying the hype. Last year, the FDA dinged a number of companies hawking CBD based on unsubstantiated claims – mainly that it could cure or reverse cancer. The agency hasn’t evaluated all the claims around CBD, but some in the research field already have their doubts. Welty has been involved with CBD use in patients with epilepsy, and at least two reputable studies have shown it can relieve seizures. But as for the rest of it – the anxiety and sleep claims, all anecdotal – he’s doubtful. “They’re not scientifically founded, in my mind,” he says. So: Is CBD just this year’s activated charcoal or functional mushroom? Harmless enough to pop without worry? For true believers, though, it’s worth venturing into the unknown if it means tossing out the aspirin and the painkillers and the anti-depressants. Franklin is convinced of its powers. “I’ve had friends take CBD for the first time, and call me and say, ‘Where have you been all my life?’ ” she says.